We offer our lowest price guarantee to ensure that you always get the part you need at the lowest price at any local dealership. If you find a lower current advertised or quoted price on an identical part within 14 days after purchase at a Mopar Dealer within 50 miles. Just bring the ad or quote to Allen Samuels Parts Department and we will beat that price. *Our price guarantee covers new parts items (excludes clearance and open box items.) 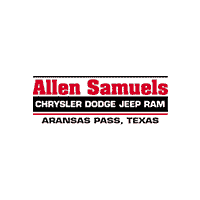 Allen Samuels will match designated Dealership coupons. Also customers can either use a coupon or price match to lower a price , but not both. Sometimes a qualifying Dealer will advertise a product in ads and on it’s website as having limited in stock. If the item is out of stock or the Dealer has advertised as limited quantities, it is not eligible for price matching.